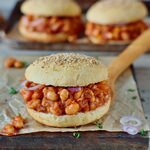 So there is always a first time for everything and this was the first time I tried vegan Sloppy Joes! I must add that I also never tried non-vegan Sloppy Joes. Probably many of my American friends will be shocked to hear that. However, Sloppy Joes aren’t very popular in Germany where I grew up. Also, I stopped eating meat when I was 6, so even if I ate this dish in the past, I wouldn’t remember. 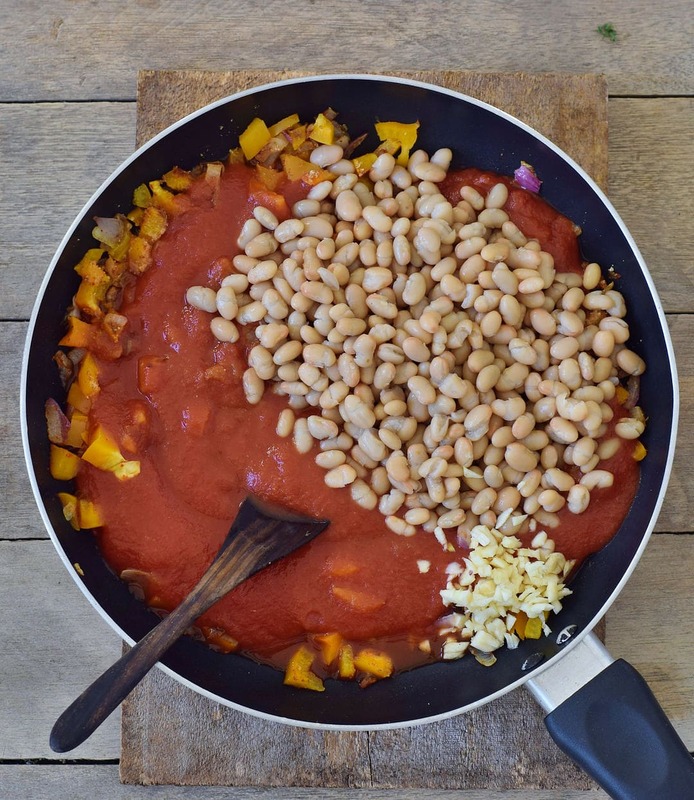 My recipe is meat-free, gluten-free, easy to make and so delicious! 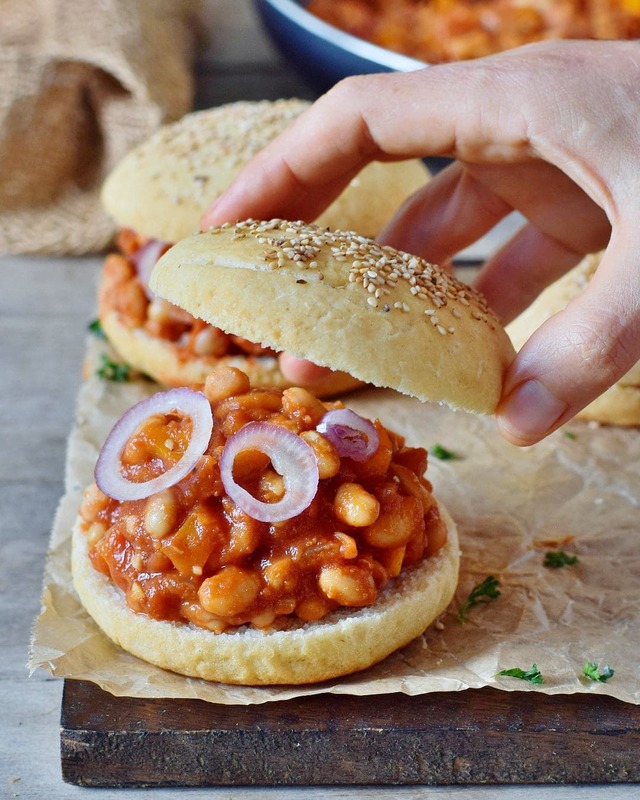 I made these vegan Sloppy Joes with cannellini beans (white beans). You can use your favorite beans, chickpeas or even lentils. I love using lentils in my recipes, like in this Lentil Stew, this Best Lentil Soup, these Lentil Enchiladas, this One-Pot-Lentil Dal, this Lentil Moussaka and some other lentil recipes. 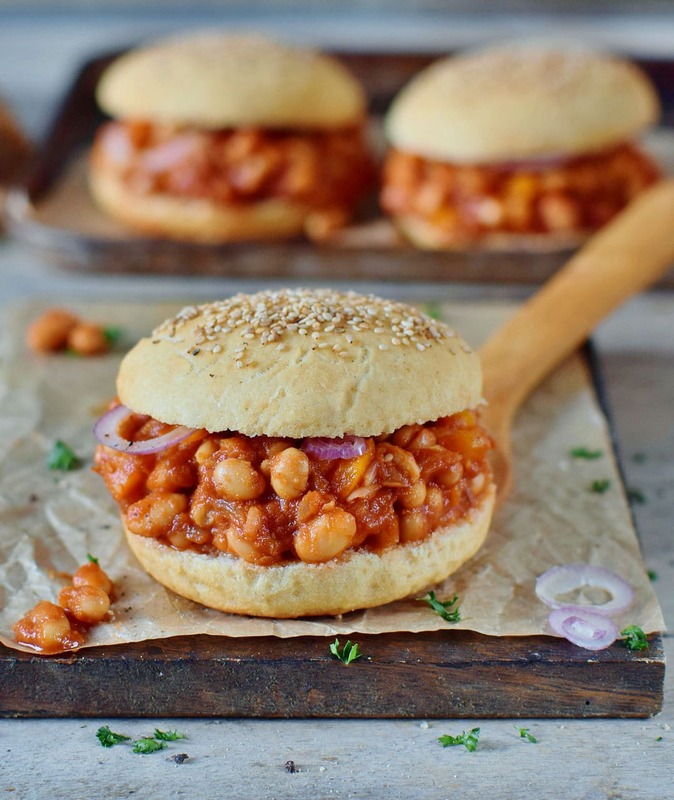 However, for these healthy Sloppy Joes, I wanted to use cannellini beans because I love their flavor. When I am in a hurry I use canned beans but you can also cook them from dry, it will take much longer though. In my opinion, there is no need to use beef, turkey, or chicken to make these Sloppy Joes. Beans and lentils are also rich in protein, and they also contain fiber as opposed to meat. 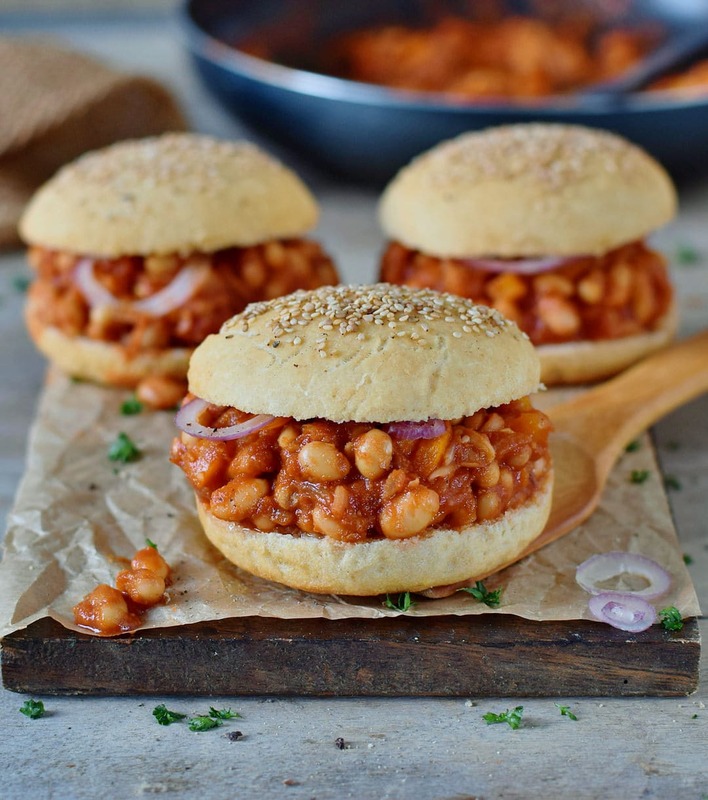 So even if you are a meat eater you could give these vegan Sloppy Joes a try. Maybe you will actually enjoy them! It took me just 20 minutes to make this recipe. It’s super easy to make and maybe you already have most (or all) ingredients at home. 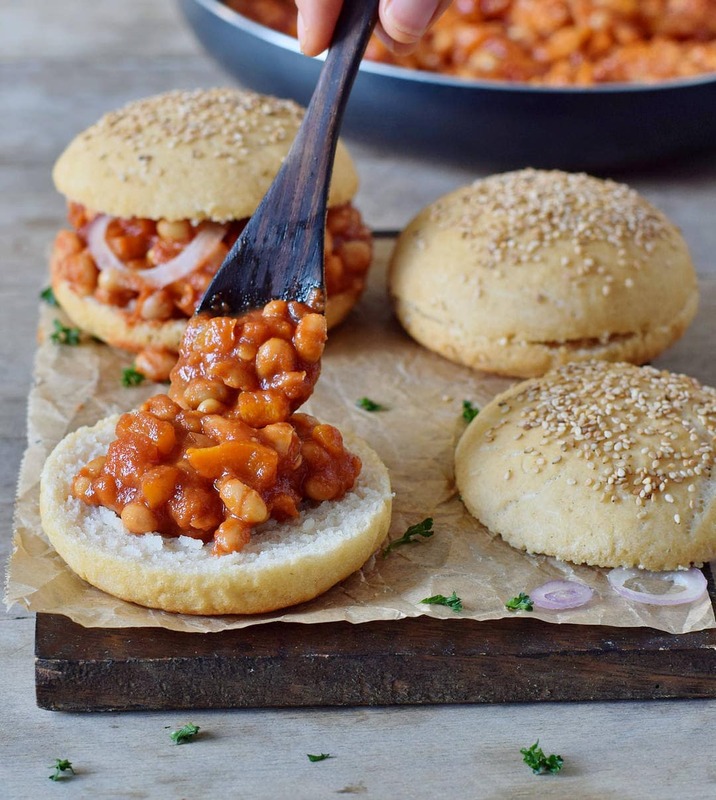 You’ll just need burger buns, beans, a bell pepper, one onion, garlic, tomato sauce, tomato paste, and some condiments. Easy! I made my own soft vegan gluten-free burger buns. I am quite happy how they turned out but not 100% satisfied yet. Once I perfected the recipe for the buns I will most likely share it on my blog. So please subscribe to my newsletter if you don’t want to miss the recipe! I added 1/2 tsp of cayenne pepper to the sauce and it turned out pretty spicy. Even my boyfriend said the sandwiches are spicy and he normally loves spicy food! So, if you don’t like spicy meals you could use just 1/8 or 1/4 tsp or leave out the cayenne pepper completely. The vegan Sloppy Joes will still taste delicious! 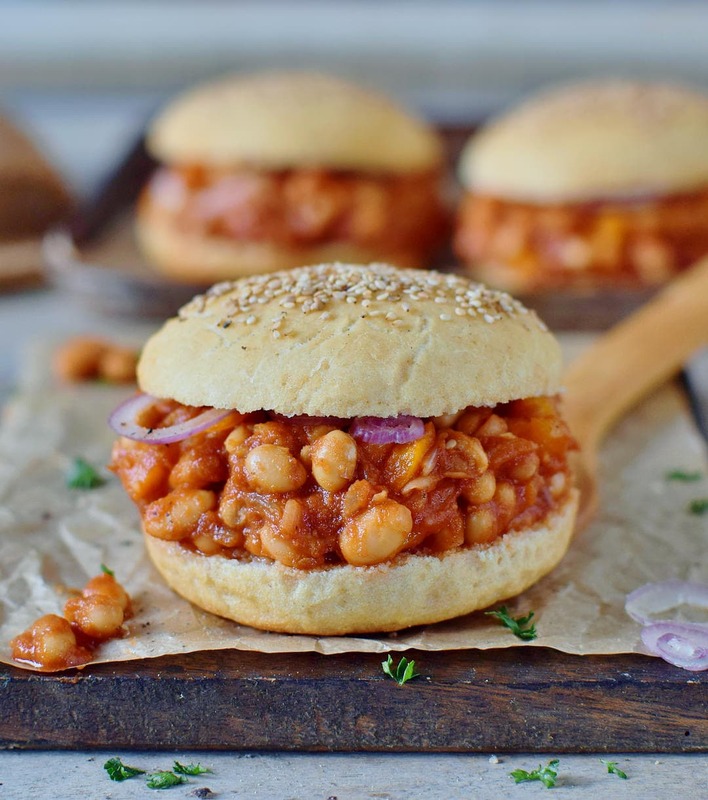 Eating the Sloppy Joe buns can be a messy experience but it’s so worth it! The recipe serves 4 but you can double the recipe and either refrigerate sauce leftovers for up to 3 days or spoon the sauce into ziplock bags and freeze for a couple of weeks or even months. If you make this delicious dish, then please comment below and let me know how you liked it! And if you even take a photo of it, then I would love to see it. You can DM it to me on Instagram. Don’t forget to tag me in your Insta caption + photo with @elavegan and use the hashtag #elavegan and I will gladly check out your post. 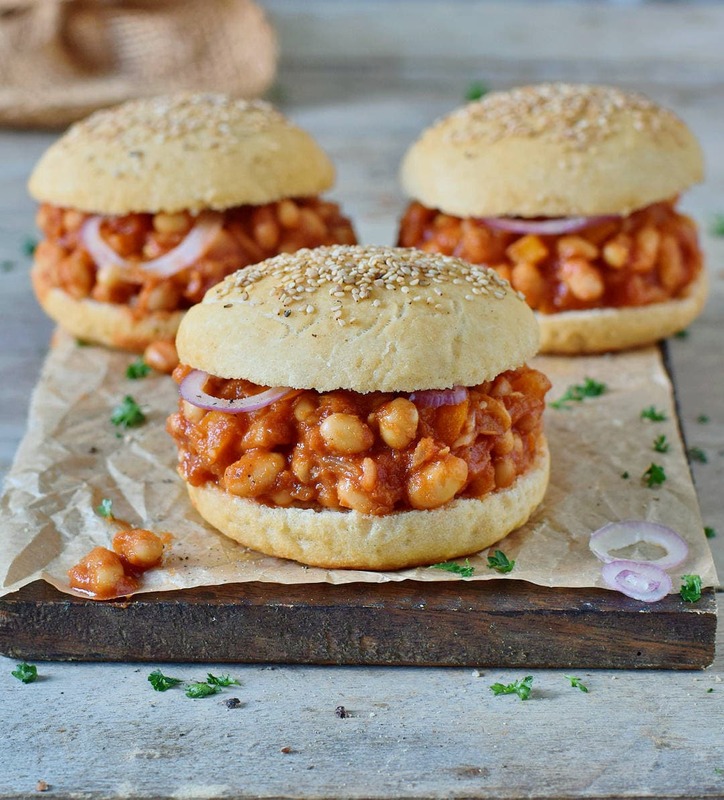 Vegan Sloppy Joes made with cannellini beans instead of beef. This healthy recipe is easy to make in only 20 minutes. Heat oil in a skillet, add onion & pepper and sauté over medium heat for about 4-5 minutes. Add garlic, tomato sauce, tomato paste, balsamic vinegar, soy sauce, vegan Worcestershire sauce, sugar, all spices and let simmer for a further 4-5 minutes, stirring occasionally. Taste the sauce and adjust flavor as needed. Add the cannellini beans and stir. Let simmer for 2-4 more minutes. Serve on soft burger buns. Enjoy! The Sloppy Joe mixture should be stored in the refrigerator for up to 3 days. 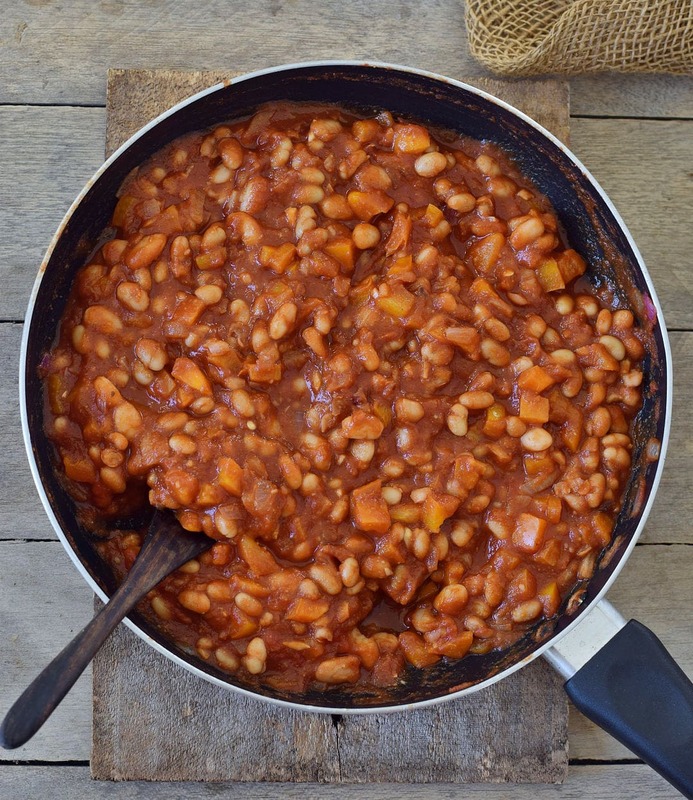 You can use other beans, chickpeas or even lentils! 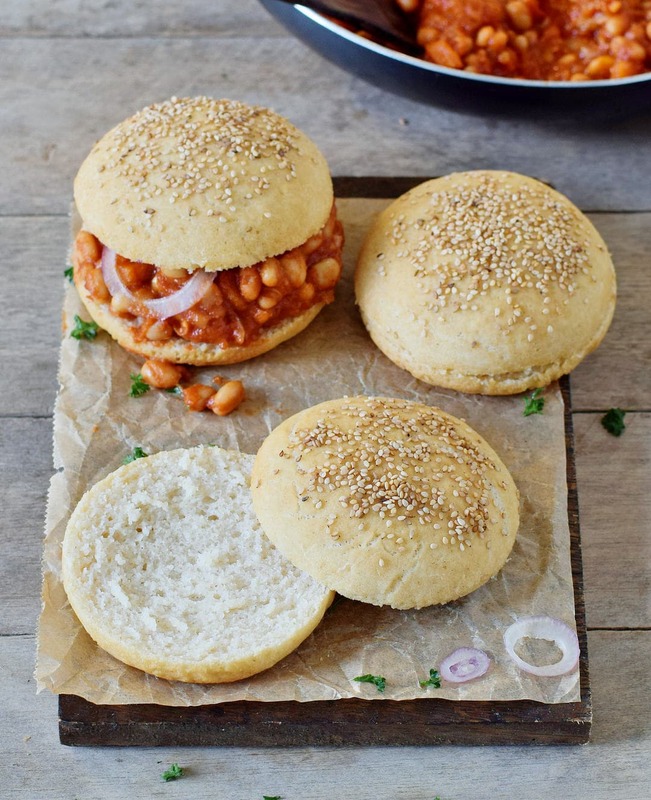 I need to try these Slopy Joes, they look really delicious. Also, I am looking forward to your gluten free burger bun recipe! Hi Sonia, I didn’t share a recipe on my blog yet! Like already mentioned in this blog post, I am still recipe testing and not 100% satisfied yet, that’s why I will only share the recipe once I perfected it. They look so delicious Ela, wish I could just reach out and grab one of these buns from the screen! Made these tonight for dinner and they were so delicious!! I used a mixture of cannellini and great northern beams. Thank you so much for the recipe! Please could you add a metric way to do this recipe. Haha, I am sure you would love them! I made this a few nights ago and served in toasted pita with mustard. Omg, it was SO tasty!!! I’ll definitely be making this again and again! Thank you for sharing your delicious recipe!